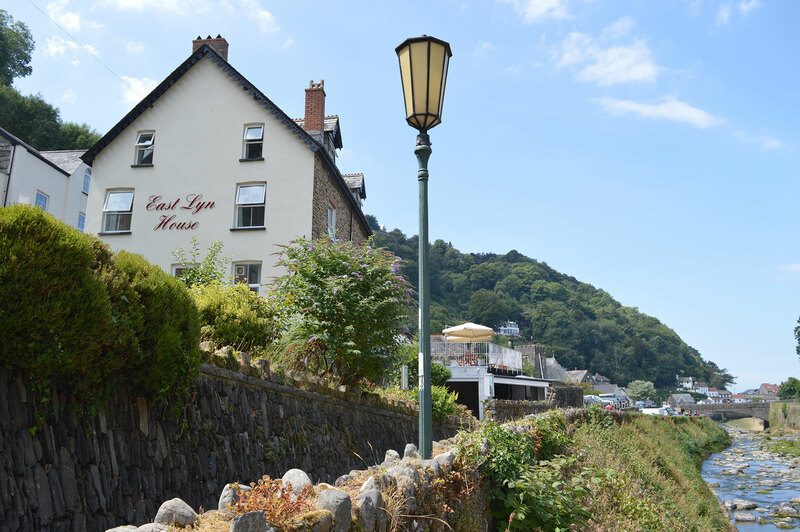 Parking is at a premium in Lynmouth, which is why we are so lucky to be able to offer free parking to our guests. We are lucky enough to be able to offer free parking for all eight of our guest bedrooms. To ensure that everyone has space and is able to park, please ensure you read through this information before arriving. Parking on day of check-in is strictly from 4pm only. Cars must vacate our car park strictly 10am on day of departure. You must park within the marked bays. Failure to do so will result in a fine of up to £30 per day. Please be advised that if you have a particularly large car, we may not be able to accomodate your vehicle. The entrance to East Lyn House Bed and Breakfast is on Watersmeet Road, at the front of the building. The doors next to the parking area are our private owners’ accomodation; there are no guest entrances on this side of the house. The surface is uneven and cobbled; speed must be kept to a minimum. All cars are parked at the owner’s risk and we accept no reponsibility for any loss or damage to your vehicle or its contents. 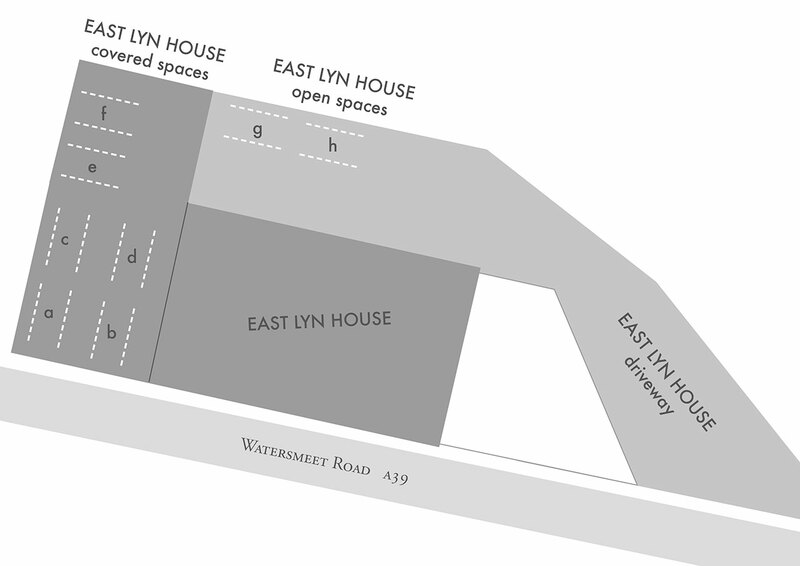 The entrance to our parking is located just past the front of East Lyn House on the left as you drive down Watersmeet Road, away from the sea. Our parking is down behind the house and bends round under the terrace. We ask that you fill the covered spaces (a-f), starting with ‘a’ first. We advise you to reverse down our sloping drive, as there is no space to turn round at the bottom, and it is far easier to drive out. Watersmeet Road. 2 hours free parking is available here during the hours of 10am-6pm. It is free outside these hours, meaning you can park from 4pm-12 noon the following day for free. Upper and Lower Lyndale car park, a few metres from East Lyn House. £1 per hour. £5 for the whole day. £3.50 daily pass available from putting green kiosk. Free from 6pm-10am. Esplanade car park on the sea front. £1 per hour. £5 for the whole day. £3.50 daily pass available from putting green kiosk. Free from 6pm-10am.